Holiday season is upon us. For a lot of us that means hosting dinner parties or having friends and relatives coming to stay. You want to make the best impression for your guests and that starts with taking care of your bed and table linen. Similarly, once your guests have walked out the door, you want to be able to clean any stains off the table linen and ensure your bed linen is washed, smelling fresh and looking immaculate. Here are our top tips for taking care of your bed and table linen. There’s no better feeling during Winter than climbing into a warm bed particularly when the bed linen is fresh and clean. If you’re rolling out the red carpet and have family coming to stay, you’ll want to make sure bed linen is freshly laundered and ready for their visit. 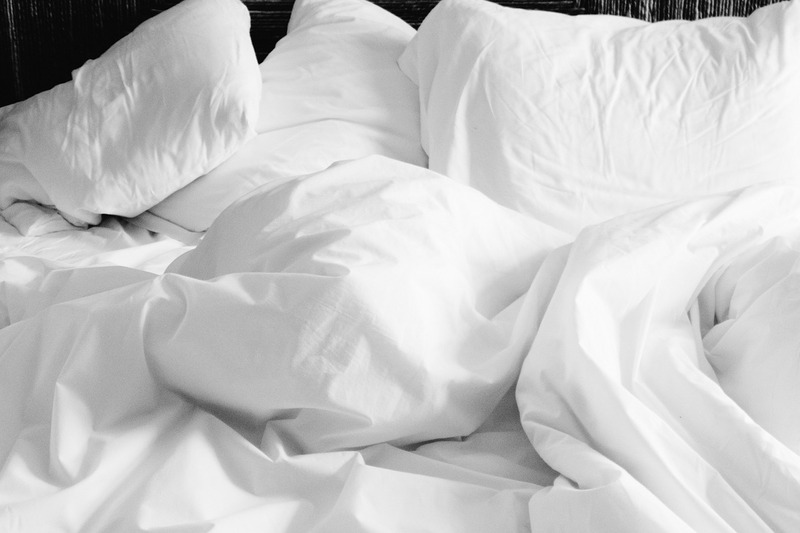 Bed linen can be hard to wash correctly, given the amount of body oil and residue that can build up in the fibres over time. We have probably all experienced bed linen that has lost its softness over time and may have even become scratchy in texture. • Get rid of your fabric softener – adding more fabric softener to your washing can actually do more harm than good; contributing to the residue in the material. Instead; adding half a cup of baking soda and a quarter of a cup of white vinegar to a wash are better remedies that act as natural softeners and break down the build-up of residue within the fabric leaving your bed linen soft. • When tumble drying use the lowest heat possible to prolong the life of bed linen. Line drying is the better way to dry your bed linen however we all know that in the winter months this is not always possible with the rain, sleet and snow. If you are uncertain of how to wash and dry your bed linen and at what temperatures, it is always best to look to a professional dry cleaning service that will ensure your bed linen is washed properly and dried. • Wash your bed linen frequently – you should try to wash your bed linen at least once a week to keep stains at bay and maintain hygiene standards. To avoid unwelcome creases make sure bed sheets are folded carefully. • Spot cleaning – perhaps the easiest way to tackle stains is to spot clean using a damp cloth and some baking soda. Let the baking soda soak into the material, then wash as normal. Other stain removers can do the trick, but you have to act fast. In fact, unless you deal with a stain immediately, stains will be particularly hard to remove. If stains are not removed quickly, look for a professional table linen cleaning service to ensure they can be removed effectively. • Take care when drying – be careful about using your tumble dryer if the stain has not been removed completely as heat from the machine will cause the stain to set. • Although stubborn stains are best left to professionals it is possible to use your regular washing machine to clean your table linen. Make sure you wash on a cool and gentle cycle and the same goes for drying. Remove your linen from the dryer before it is completely dry to avoid the material becoming stiff. It can be challenging to clean household linen at home without the correct detergents, stain and space for drying. To ensure your bed and table linen look its best all year round, look to Butlerz. We provide a comprehensive bed and table linen laundry service across Surrey and Hampshire, helping to save you precious time during the busy winter months. We also offer a collection and delivery service from your home or place of work. This service covers Haslemere, Farnham, Godalming, Liphook, Liss and Bordon. Find out more on our collection and delivery service.